Every Christian who has had a catechism class must have been instructed to recite a prayer which Jesus has taught his disciples. It is one of the widely and most used prayer from the bible. It is one of the first passages in the bible which missionaries chose to translate in the language of a culture to which the Gospel has been freshly carried. This prayer which has emerged to be called the Lord’ prayer is therefore one known by almost every Christian. What is the Lord’s prayer? How significant is the Lord’s prayer to a disciple of the Lord Jesus? How should we pray using the Lord’s prayer? 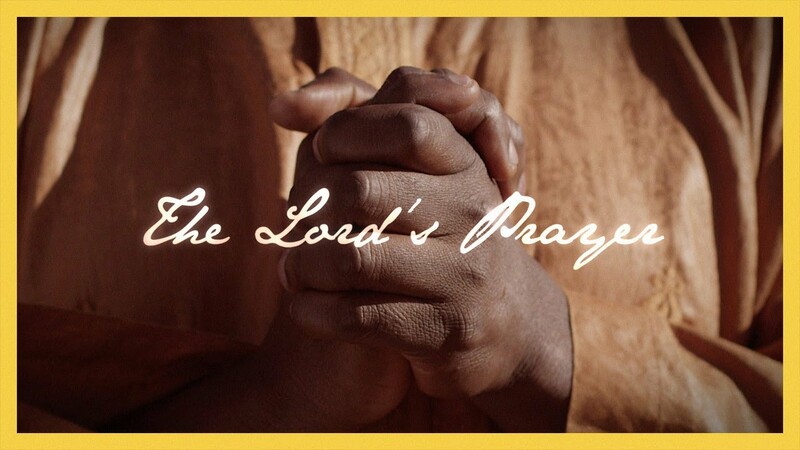 In this post, I write that the Lord’s Prayer is a prayer, it is a prayer guide and a source for Christian Theology on prayer and other subjects. I then finish by sharing Archbishop Rowan Williams thoughts on the Lord’s Prayer which featured on BBC magazine. “Our Father in heaven, hallowed be your name, your kingdom come, your will be done on earth as it is in heaven. Give us today our daily bread. And forgive us our debts, as we also have forgiven our debtors. And lead us not into temptation but deliver us from the evil one”—Matthew 6:9-13. The Lord’s prayer therefore is a prayer that we can use in our daily prayer. We shouldn’t just recite it but pray it. Besides, the Lord’s Prayer also gives us a guideline of how we can pray. There is no special formula of prayer neither are there special words we should use in prayer. Being enabled by the Holy Spirit, we pray to Our Father, and every form of language we use shall be honoured by God. Just as someone suggested ACTS (Adoration, Confession, Thanksgiving and Supplication) as a guide for prayer, the Lord’s Prayer equally shows us a similar guide to prayer. The prayer as a whole tells us we stand in a very vulnerable place. We stand in the middle of a human world where God’s will is not the most automatic thing that people do. Where crisis faces us, where uncertainty is all around about tomorrow and where evil is powerfully at work. To stand with dignity and freedom in a world like that, we need to know that God is Our Father. We need to know that whatever happens to us God is God, God’s name and presence and power and word are holy and wonderful and that that glorious God has made us members of his family in a very intimate and direct way. With that confidence, that kind of unchildish dependence, we’re actually free. We know that there is a relationship that nothing can break. And again, you could turn to Saint Paul on that to the end of chapter eight of his Letter to the Romans: “I know that nothing, nothing can separate me from the love of God and Jesus Christ”. And to begin that prayer “Our Father” is really to say what Saint Paul is saying. Just as in the old hymn, here is an anchor that keeps the soul. Here is the anchorage that keeps us steady in this turbulent, difficult, nightmare world. So the Lord’s Prayer is a prayer that is utterly serious about the danger, the tragedy of the world. It’s not an easy prayer. It’s not a prayer that pretends and it’s also a prayer that requires our lives change. It requires that we become different sorts of people, but it acknowledges that that will only happen when we learn how to depend freely and lovingly on the God who made himself Our Father. When I pray those bits of the Lord’s Prayer, I think not just of myself or of fellow Christians, I feel I’m praying it for all human beings: Give all of us what we need for life, the dignity and the hope. Keep all of us from being plunged into crisis we can’t handle. Save all of us from the destructive power of evil. So, I’d be very reluctant to see it simply as a prayer only about Christians, although it is a prayer for Christians because it begins with the words “Our Father”. But as we go deeper into it, we see more fully that it’s a prayer about our human condition. Every single bit of the Lord’s Prayer is radical because every single bit of it challenges our assumptions about who we are and who God is and what the world is like. And what it’s praying for, and again this is something we forget because we use it so often, what it’s praying for is the most revolutionary change you can imagine in the world we live in. A change to a situation where what God wants can happen, to a situation where all the hungry are fed, to a situation where forgiveness is the first imperative in all our relationships. And, as people will notice, that’s not exactly like the world we inhabit at the moment. So, if radical means looking for change from the roots up, yes, then it’s radical. Jesus knew how to compose prayers and stories that were memorable. And if you put the Lord’s Prayer back into Jesus’ own language of Aramaic then the rhythm and even the rhyme of the words come through very clearly. So he’s teaching an easily memorable form of words, an easily memorable form of prayer. So it’s meant to be transmitted, it’s meant to be passed on, learned and taught. When Jesus first teaches the prayer he says when you pray say “Our Father”. So there is a very simple instruction there: these are the words that he gives to us. But of course what the prayer does is to give us a kind of template for other sorts of prayer; it tells us that Christian prayer is always addressed to The Father. It’s always prayed from where Jesus stands. So real Christian praying is standing with Jesus and saying to God the words that Jesus would say to God, Father. All prayer has to be like that for Christians. And all prayer has to be aware of our frailty, aware of the ways in which our lives are at risk. All prayer has to acknowledge our need of forgiveness and our need to forgive. So it’s not so much that there would be other ways of saying it, we say those words simply because Jesus told us to. But from that prayer we can get a model, an inspiration for the nature of all the prayers we ever offer. The prayer is often introduced in the worship of the church with the words “as our saviour Christ has taught us, we are bold to say”, or “we dare to say” – we have the nerve to say “Our Father”. We need to remember that it’s a bold form of address to God. And Jesus has given us the nerve to call God Father and you sometimes hear it introduced as “as our saviour has taught us we take heart and say”, we sort of summon our strength and resource and, yes, we have the confidence to say these words. In the next couple of days, I will be drawing some important points from each of the lines of the Lord’s Prayer to help us pray the Lord’s Prayer meaningfully but also focus on some Theology in the Lord’s Prayer. Thank You.